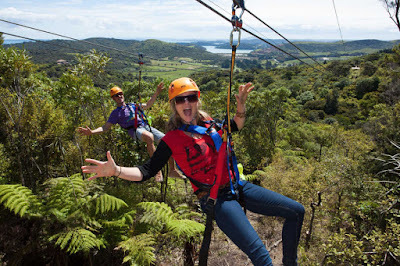 From jumping off #Sky_Tower, flying fox ziplines, taking a free fall with a bungee or wine-tasting on #Waiheke_Island, #Auckland provides a mesmerising mixture of serenity and adventure to those seeking to add some thrill to their lives. The city's vast harbour, quiet islands and vibrant landscapes offer an exciting and accessible mix of urban, water and wildlife activities, giving tourists and visitors a whole lot of enjoyable options during their stay. Mischa Mannix-Opie, Area Manager South and South East Asia, Air New Zealand, says that the country has been attracting Indian travellers off late and they are expecting positive growth in future too. "New Zealand is becoming an increasingly popular destination for Indian travellers and our role as one of the key connectors has never been more important. With Air New Zealand's alliance with Singapore Airlines -- connecting Indian travellers between India and New Zealand via Singapore -- we're looking to build on this momentum to further grow our footprint in the market," Mannix told. Rated as one of the most liveable cities in the world, Auckland is a thriving multi-cultural hub of cuisine, music, art and culture. 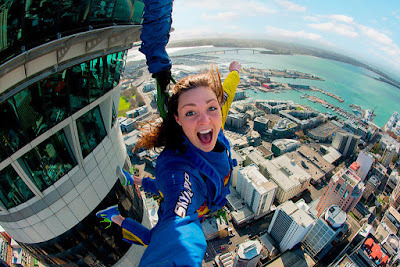 One of the fun activities that can pump up your heartbeat -- and certainly did mine -- was the jump from the top of Sky Tower, one of the main attractions of the city. Zoom up 328 metres in glass-fronted lifts to the spectacular viewing platforms -- and try a Sky walk or Sky jump. Sky walk involves a walkway around the Sky Tower, with no handrail, while Sky Jump is New Zealand's highest jump, and you take about 11 seconds to reach the ground, falling at about 85 kmph. You won't forget the rush when you touch the ground. Another adventure-activity that you don't want to miss is the 40-metre Auckland Bridge Bungee. This experience will thrill and surprise you, especially if you opt for a water-touch and enjoy a nice ocean dip. Attempt it for never-forgettable fun. 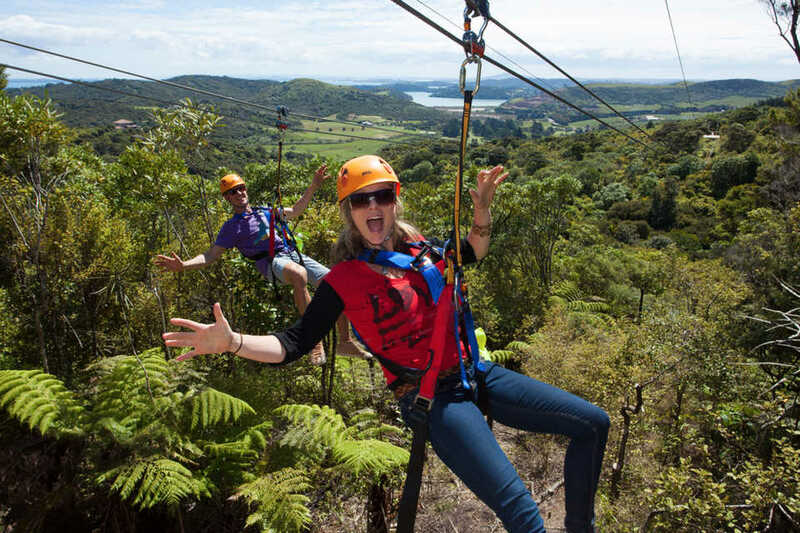 If you are a nature lover, you will definitely enjoy the ziplines and an eco-immersive forest walk on breathtaking Waiheke Island. One of the things that makes Auckland special is its vibrant melting pot of cultures. From the first Maori waka (canoes) and colonial ships, Auckland has attracted people of many cultures from far and wide. See the collection of Maori taonga (treasures) at the Auckland museum and catch one of the daily cultural performances. Take a walking tour of Auckland's volcanoes with a guide from the local iwi (tribe) to see remnants of old fortified, terraced villages, or visit Te Hana Te Ao Marama, an incredible replica of a 17th century Maori village. The Maori people greet you in their unique way, called "Hongi", which involves touching one's nose and forehead to another person's and is actually considered the equivalent of a formal handshake. Be ready and don't be shy! Auckland is also a food lover's paradise -- surrounded by fertile land and rich waters, it is home to some of the best chefs, food producers and winemakers. Its wine regions are a must for foodies. Award-winning pinot gris and rich, full syrah are among the area's specialties. If you are a wine connoisseur then visit the beautiful Waiheke Island, just a 35-minute minute ferry ride across the harbour from downtown Auckland. Known as "the island of wine", Waiheke has around 30 boutique wineries and vineyards served well with specialty foods made with locally-grown produce. Auckland is also home to 48 dormant and extinct volcanic cones, many of which offer spectacular walking paths and views at the top. ALso, don't miss a cruise on a classic yacht or launch if you love water.